Description : The generic name is derived from Greek word drakaina, ‘dragon’s blood’; a red colour used in the varnish industry is obtained from Dracaena draco. About 40 species of tropical plants, widely distributed over the tropics of the old world; some being grown as ornamentals. The dracaenas are grown mainly for their attractive green, variegated and colourful foliage. Some species grow tall in the open and form a definite stem with a tuft of leaves on the top while few species do well in pots and require more care. Even the hardy, green-leaved types, when exposed to full sunlight in hot summer, show scorching on leaves. 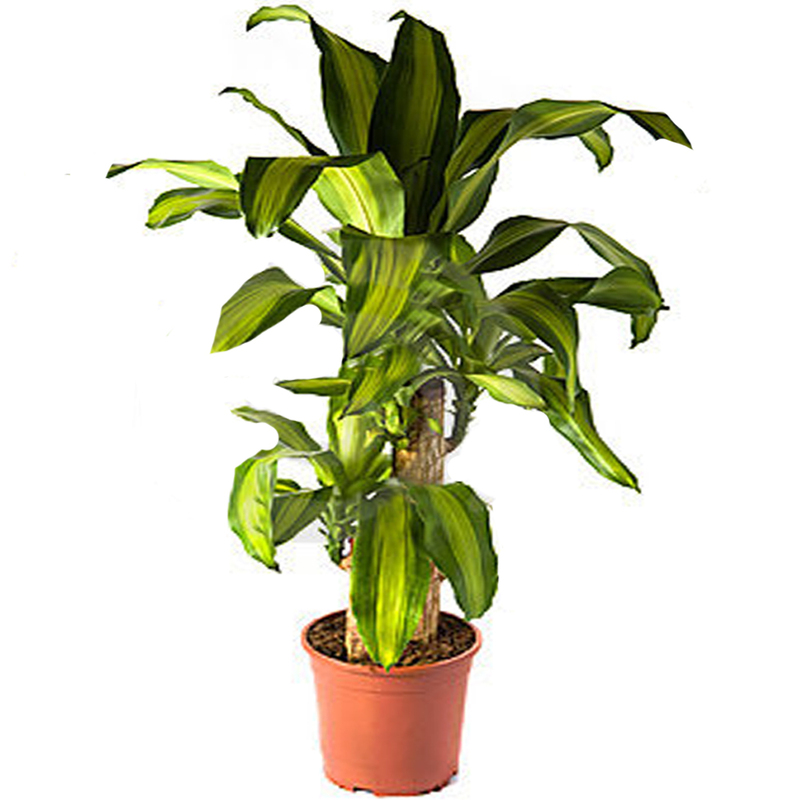 Grow Clean Air Benefits: The dracaena fragrans was a plant used in the NASA's clean air study which proved to remove a considerable amount of toxins from the environment. This plant removes the following Volatile Organic Compounds( VOC's) Benzene, Formaldehyde and trichloroethylene. COMMON NAME: DRACAENA FRAGRANS MASSANGEANA. BOTANICAL NAME: DRACAENA FRAGRANS ‘MASSANGEANA’. This attractive plant has wide leaves with stripes and bands of light green and yellow along the centre, border green.